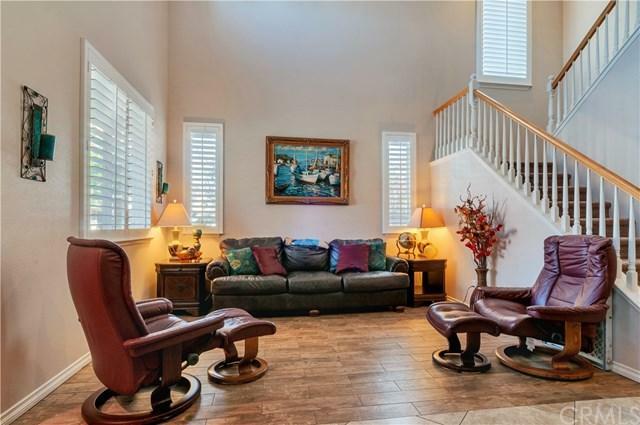 Amazing spacious two-story home nestled in the University Grove Neighborhood. Property shows really nice with four bedrooms (one downstairs) and three bathrooms with 2,559-sq.ft. 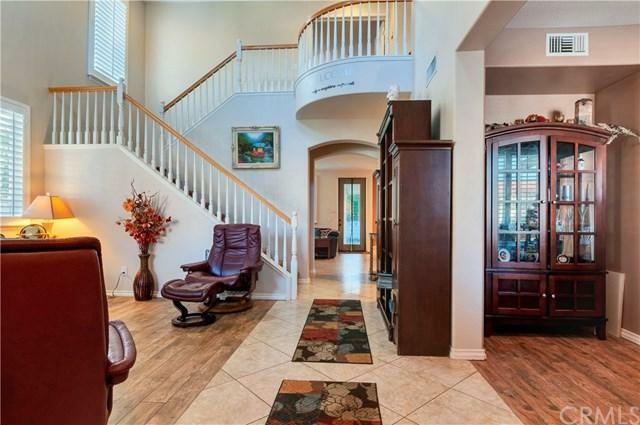 Formal living with its cathedral ceiling & dining room welcome you as you enter the home. 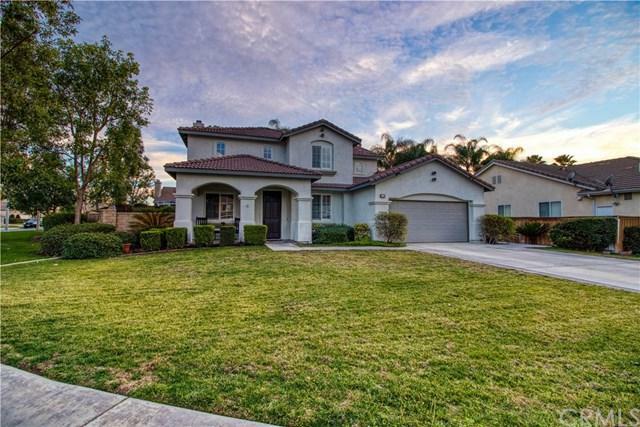 Tile flooring, plantation shutters, granite counter tops, high ceilings with more luxurious features throughout the home, 3 car tandem garage, extra large lot and super wide driveway, situated on an extra-large corner lot. The large kitchen has granite countertops, a center island with bar seating, breakfast nook area and wood cabinetry. Master suite with large his & hers walk-in closets, private bathroom with a separate tub and shower. New exterior paint and large grass front yard. Along with laundry room. Spacious lot size approx. 11,500 Sq. Ft. Wonderful backyard with good size grass area, custom BBQ island with 2 BBQ's and patio, and in-ground sparkling pebble tech pool and spa. This home shows beautifully and is a must see.